Which Are The Best In-Ear Monitors For Drummers? These Shure SE215 In-Ear Monitors are a road-tested and proven product for the demanding, modern drummer. They deliver an excellent performance and the comfortable sound isolating sleeves block up to 37dB of external noise. These in-ear monitors are well constructed and the sound is very good for its price range. I use this exact pair of Shure SE215 headphones for every show and I cannot fault their reliability and ability to deliver accurate, consistent performance night after night. They offer a good range of sonics and the bass on the heavy side, but I like a slightly deeper bass personally. The kit includes a durable pouch to store the monitors in as well as various sized tips to ensure you find a good fit with these inside your ear canal. A good seal is key to optimizing the best sound isolation and bass response as well as maximizing your level of comfort. Taking into consideration the price of these in-ear monitors, they reflect excellent value for money. In my opinion these are a great choice of in-ear monitors for drummers on the market right now, and they deliver a professional level performance at a fraction of the price of some other in-ear monitors on the market. Shure also offers a 2-year guarantee on these monitors, which is a big plus! Up next for review we have a great set of in-ear monitors produced by Audio-Technica, a Japanese corporation that designs and manufactures a wide range of high performance audio equipment. These ATH-IM70 in-ear monitors are well designed and offer a fantastic sonic performance with contributed by the strong dual symphonic drivers that deliver a premium monitor-like sound reproduction. From listening to these in-ear monitors I’m certainly very impressed from the well-rounded and balanced sound quality. The hybrid body of the earpieces is made from aluminum and a hard resin that is lightweight yet highly durable, and also offers excellent clarity. The soft earpieces are very comfortable and prevent soreness after wearing them for extended periods of time. Two sizes are provided in the set to ensure a snug fit for your ears. Many professional drummers use these headphones and it’s easy to see why! ATH-IM70’s deliver crisp, clear and accurate sound from the dual symphonic drivers, which is high-end feature for in-ear monitors, and rarely found in a set at this price range. Overall I would highly recommend these in-ear monitors because they deliver an excellent sonic performance and the brand is a world leader in delivering high quality audio products. They also reflect excellent value for money when you consider the quality offered at the price. Etymotic are the company that invented noise-isolating, in-ear earphones over 30 years ago. Etymotic have designed their products to improve and protect the hearing of music lovers everywhere, and hold over 100 patents for their own products, which is a real testament to their passion and design! These Etymotic ER4XR in-ear monitors are an incredible set of in-ear monitors for drummers. They offer a very high level of performance, with powerful armature drivers that are precision matched to within 1dB and offer an amazing noise reduction of up to 42dB. Upon first inspection of these in-ear monitors I am thoroughly impressed, I can tell they have been manufactured to a distinctly high quality. They are assembled and precision matched in the USA. Inside the kit is an assortment of various ear tips and a protective carrying case as well as a certificate of production and testing. There is also a 2-year guarantee carried with these monitors. The sound quality from these in-ear monitors is amazing. They are well balanced and there is just the right amount of low-end. The unique earpieces are very comfortable and they fit smoothly inside the ear canal. They block out an incredible 42dB of external noise, which is the most I have experienced from any set of in-ear monitors. These offer a huge amount of hearing protection to you as a drummer whilst also providing you with a very high level of audio performance. Etymotic have really delivered here with a superb product, and they win as the best in-ear monitors for drummers on a premium budget. Up next for review we have a set of in-ear monitors created by MEE Audio. This product is their pro level set of monitors that have been designed to deliver superb clarity as well as a strong and punchy bass that is too often lost in poor quality in-ear monitors. MEE have cleverly utilized hybrid dual-driver technology within these in-ear monitors by having a balanced armature driver and one dynamic driver. The two drivers work together to deliver an all round high level of sonic performance. This is definitely a great feature to be found in a product of this price, as dual-driver technology is normally found in much more expensive and custom made to order in-ear monitors. These in-ear monitors for drummers are excellent for use in both the studio as well as live on stage. The Comply memory foam ear tips provided reduce external noise and offer a high level of comfort too. I find that these monitors provide great clarity especially in the lower-mids. A great bonus of these MEE M7 Pro In-Ear monitors is that if they are ever “crushed, shredded, fried or simply left behind”, MEE will give you a brand new pair at half price. This is a fantastic deal and proves that MEE stand by their products and are happy to provide an excellent customer service. MEE also provide a full no questions asked 1-year guarantee on them for any fault. Overall these are an excellent product for drummers looking to invest in a pair of high quality in-ear monitors. They will deliver an excellent level of audio performance with thanks to the dual-driver technology that really contributes to the punchy, high fidelity sound. Lastly up for review we have a good set of affordable in-ear monitors made by Westone Audio. These headphones are designed well and have some high quality features, and the price point is very attractive to say the least. The Westone Audio UM1 Monitors utilize a proprietary single balanced-armature driver that delivers dynamic and articulate sound. From listening to these in-ear monitors I can attest to their ability to offer a good level of performance for a single-driver, and deliver a wide and well-balanced frequency range. The set includes 5 pairs of true-fit comfort foam ear tips that offer a good level of noise isolation. The audio cable is highly durable and is perfect for use on stage because it is made from a high-flex tensile wire. These in-ear monitors also come with a 1-year guarantee. These in-ear monitors are a great option to suit a drummer with a lower budget that still demands a good sound performance. As a package these in-ear monitors perform the job well, but they do lack the clarity and power of more expensive offerings such as the Etymotic Research ER4XR In-Ear Monitors. However, for the price range I would recommend these as a great budget option of in-ear monitors for drummers looking to invest in their first pair. In-ear monitors are a fantastic tool for drummers when it comes to live performances. 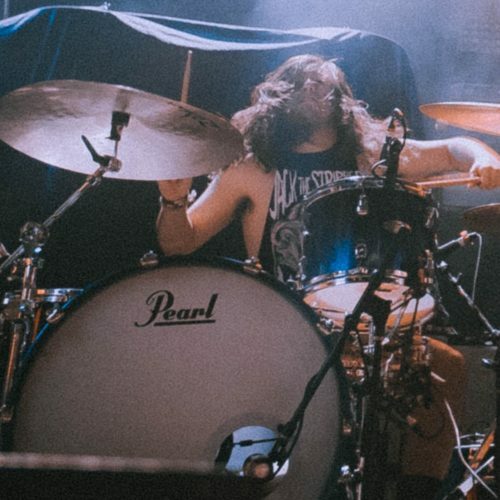 A drummer’s main responsibility is to lay down the foundation of the music for all of the other members within a group, and to keep the music driving forwards with energy. It is expected for the modern drummer to be equipped with a set of in-ear monitors to support a group utilizing backing tracks. 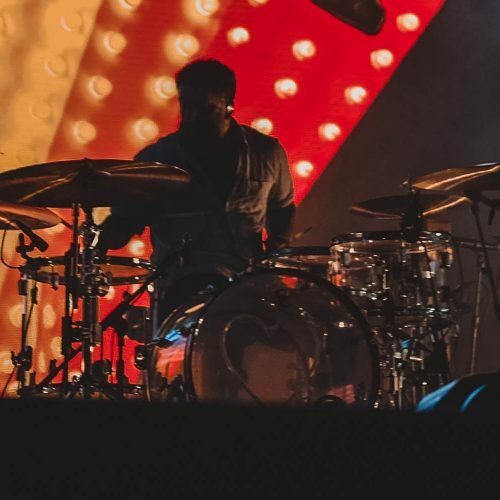 Professional modern live performances demand a drummer to be synchronized with a click track and with a backing track to be run live through the PA to accompany a group or musical artist. 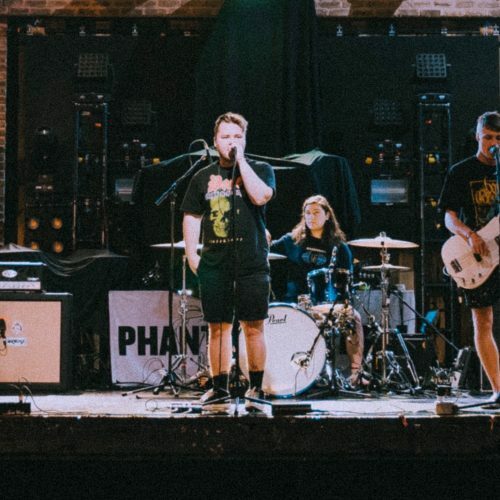 Most modern festival performances and arena shows are run like clockwork, with all the members in a band actively being able to hear each other accurately through wireless receivers and in-ear monitoring systems. In-ear monitors may be considered expensive, but the high-price tag is certainly justified. High quality in-ear monitors perform not only as a well balanced and high fidelity set of audio devices, but they also perform a very important role of offering a high level of hearing protection. The modern music industry demands experienced drummers to be able to play to a click track live on stage and also in the studio. There are a variety of in-ear monitors available on the market, and there are good options for all budgets. Professional in-ear monitors deliver a wide range of frequencies with advanced drivers for a precise and high level of performance. High quality in-ear monitors deliver superb clarity and crisp detailing of all frequencies so that you will be able to accurately hear all the music being sent into your ears. In-ear monitors are expected to be very durable and resistant to sweat to ensure a secure and comfortable fit night after night whilst playing shows. The hearing protection offered by in-ear monitors is very important for drummers because hearing damage that may be caused from consistent exposure to loud noise is irreparable. In-Ear Monitors are proven to block external noise by up to 42db whilst ensuring maximum comfort for long periods of use. How Do I Run Wireless In-Ears Live? For studio use, a drummer will be sent a signal from the control room to his in-ear monitors, meaning he does not require a wireless pack. For lots of live applications a drummer may not necessarily be required to own a wireless in-ear monitoring system. I personally run out from a headphone amp that is hooked up to a laptop for our live performances. Top-level professional musicians use fully equipped wireless in-ear monitoring systems in order to hear a balanced mix from all the members of the band and allowing for full freedom of movement. A wireless in-ear monitor pack is comprised of a transmitter and a wireless receiver, which the in-ear monitors are connected to. Wireless in-ear monitoring essentially replaces stage monitoring at venues. The transmitter is a large device that sends a strong signal to the receiver and lives off-stage. 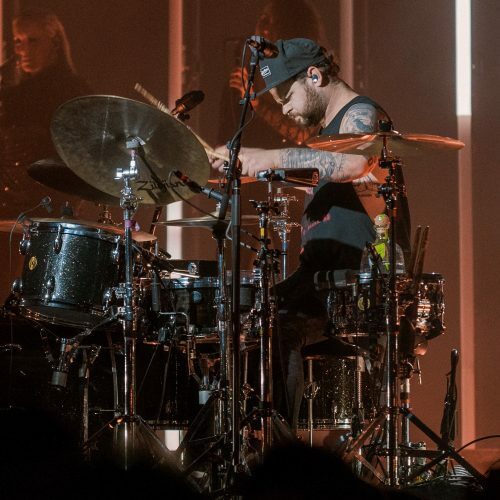 Professional wireless in-ear monitoring systems ensure that a drummer will be delivered with an accurate mix of all the desired instruments straight into his ears, whilst having the freedom to move about a much as he likes. Wireless in-ear monitoring systems annul external audible factors such as the crowd noise and they deliver the same performance regardless of the stage size and whether the concert is indoors our outdoors. A good quality wireless set including a transmitter and receiver is an expensive investment, and is not a typical purchase for a gigging band at regular sized clubs and concerts. A set is easily upwards of $1000 and will really only be required by bands that are playing stages much too large to be using regular foldback stage monitors. Although a wireless set may not be on your sights just yet, a top quality set of in-ear monitors will provide functional, versatile and essential use for all your drumming performances. Whether you are practicing at home, rehearsing with a band or performing a live show, a top quality set of in-ear monitors provides you with high fidelity audio as well as vital hearing protection that will reduce the risk of developing hearing loss. All musicians can share times of experiencing tinnitus (the loud ringing in your ears after being exposed to loud noise), and it’s a very early sign of noise induced hearing loss. In-ear monitors block out external noise and will permit you to hear what’s being sent into your ears at a lower volume and to save your hearing. The Etymotic Research ER4XR In-Ear Monitors offer an incredible 42dB of noise to minimize damage to your ears whilst delivering a fantastic and accurate sonic performance. These are the most expensive in-ear monitors on my list but I believe you cannot put a price on your hearing, so the investment is undoubtedly well worth it. Whatever your budget might be, I am happy to be able to offer my top 5 best in-ear monitors for drummers within this guide, all of which offer a great sound and well-balanced frequencies that I’m sure you’ll love. All of these products have been well designed to withstand frequent and regular use, so you can be confident with their reliability and retain your focus on the music!